Orthodox monasteries are an exceptional rarity in the UK. 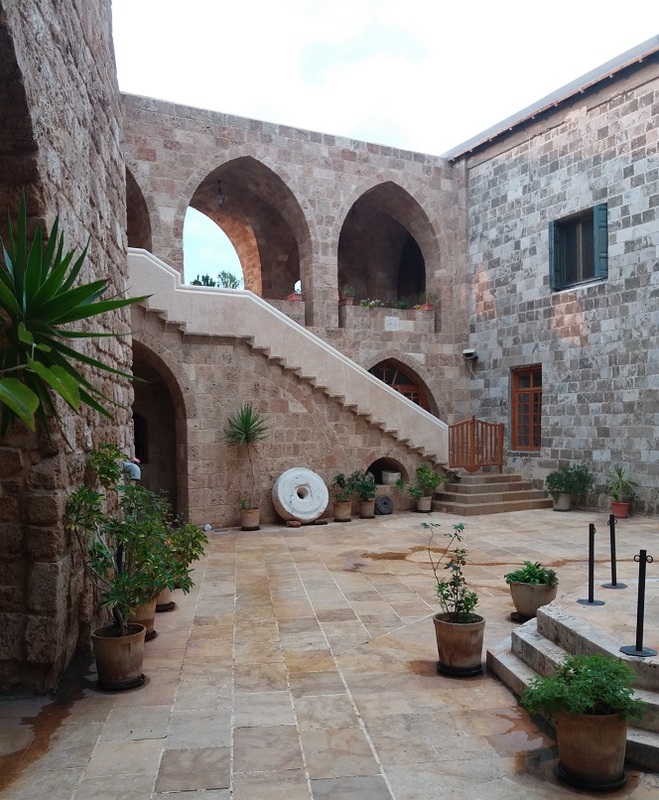 As Orthodox Christians we can feel a little anxious about visiting a monastery, especially if we are staying as guests. Monastic etiquette is straightforward and may seem somewhat obvious. However, we can sometimes forget the obvious, especially when our visit to a monastery is part of a larger holiday abroad. If you are just visiting (as opposed to staying) the time at which you arrive at the monastery may determine whether the monastery is open. Monasteries are all unique and vary their practice between each other. Usually a monastery will open its main doors after the morning services are finished, and close the doors after the evening services. However, some also close for a couple of hours in the afternoon. Guestmaster: This is the monk or the nun whose job it is to look after guests. The guestmaster will typically run the guest-house and be responsible for receiving visitors. You may be shown the monastic church before anything else. One should venerate the main icons when you are shown the church. After this you may be shown to a reception room where the guestmaster will offer you refreshments. Abbot or Abbess: This is the person in charge of the monastery. If you meet the Abbot or the Abbess, it is good to ask for a blessing. An Abbess is identified by a cross worn around her neck, similar to one worn by a priest. You ask for a blessing in the same way you would ask a priest. Other Monks and Nuns: During the day you may not see any other members of the monastic community except at mealtimes. They won’t be resting – they will be working! If you do see a monk or a nun, they may not talk to you. They are not being rude! In many monasteries it is forbidden for junior monastics and novices to engage with visitors. Once again, all monasteries are different so this may not be the case everywhere. 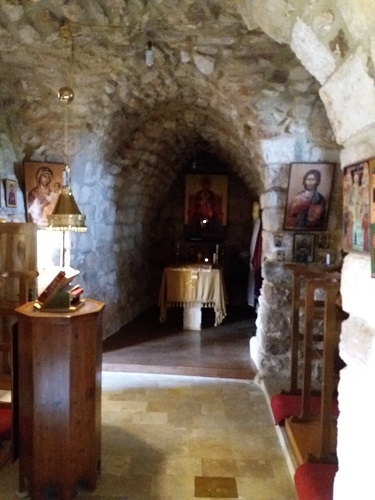 Services: Monasteries start very early in the morning, some as early as 4am. The weekday will start with various services in the church. If you are a guest it is expected that you attend for at least part of the services. Meals: Monasteries eat together in refectory, and you may be invited to share a meals with them, especially if you are staying. Monasteries are unfamiliar places to most of us. We may therefore not have any indication of how we should behave whilst visiting or staying. Above everything else, the two most important things to remember in a monastery are these: the monastery is a holy place of prayer; the monastery is home to the monks or nuns. Clothes: Modesty is key when deciding what to wear, both for men and for women. Men should wear long trousers and at least ‘T’ shirts (not vest-tops) to ensure the shoulders are covered. Women should wear skirts or trousers below the knee, and like men should wear tops that do not expose the shoulders. Some stricter monasteries also ask for women to cover their heads. If in doubt it is best to inquire beforehand. Noise: Monasteries are quiet places. It is best to keep conversation to a low volume. If in doubt, say nothing! It is inappropriate to play music in one’s room if staying. Church Services: Monasteries are places of prayer. It is good if you can attend some of the services. If you are a staying guest this may be expected. Meals: These are taken in silence together in refectory. One member of the community will read from a holy book throughout the meal. Meals start and end with grace, which are said standing up. It is polite not to start eating or drinking until the Superior has started. Take your cue from the monastics. In some monasteries you must stop eating once the Superior rings the bell or makes a similar signal. As guests you may be permitted to finish your meal after the final grace. Get a Blessing: This may seem obvious, but no-one may take it upon themselves to do anything in a monastery without first receiving a blessing from the Superior. This includes activities like helping clear the table after a meal or washing up. Monastics are Busy: Monks and nuns are always hospitable and willing to help you with anything they can. Please bare in mind however, that they will typically arise at 3am and go to bed at 8pm. Between those times their time is precious. They have monastic obediences as well as their own personal cell rules to complete. As such, they may be sacrificing what little free time they have in order to serve you. Visiting and staying in a monastery is a great privilege, both for the monastics and for the laity. Monks and nuns make their home in the monastery to put themselves at the sharp-end of prayer and the full rigours of a concentrated Christian life. We pray for them and they pray for us. Laity and monks are two sides of the same coin which is the fullness of Christianity. They are for us, and we are for them. If we allow ourselves to participate in their lives just a little, we may come away full of blessings and a real sense of belonging to a familial loving community.